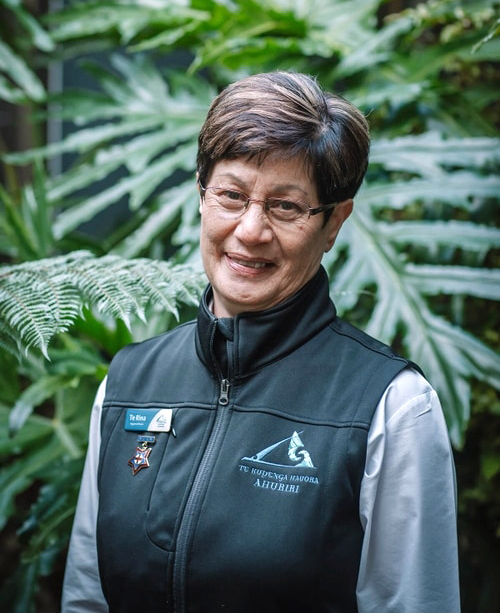 Te Rina (Ngāti Pāhauwera, Ngāti Kahungunu) is a Registered Nurse. Te Rina's role as a School Based Nurse enables her to interact with pēpi, tamariki, and their whānau and seeing young children achieve their goals significantly encourages her. She also prioritises being a strong advocate towards better health outcomes for tamariki to help them reach their full potential. When away from work Te Rina appreciates spending time with her own children and mokopuna. She also makes times for biking and walking as a way to relax. Being around her own whānau gives her a great sense of pride and is also encouraged to see her whānau reach their full potential. Te Rina is a Registered Nurse with a Post Graduate Diploma in Community Child and Family Health.